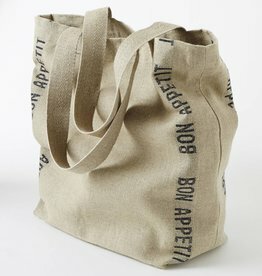 Charvet Editions - Bag/White Bon Appetit 15"x23"
Home / Charvet Editions - Bag/White Bon Appetit 15"x23"
French Linen Tote Bags -Natural color with white "Bon Appetit" stripes. 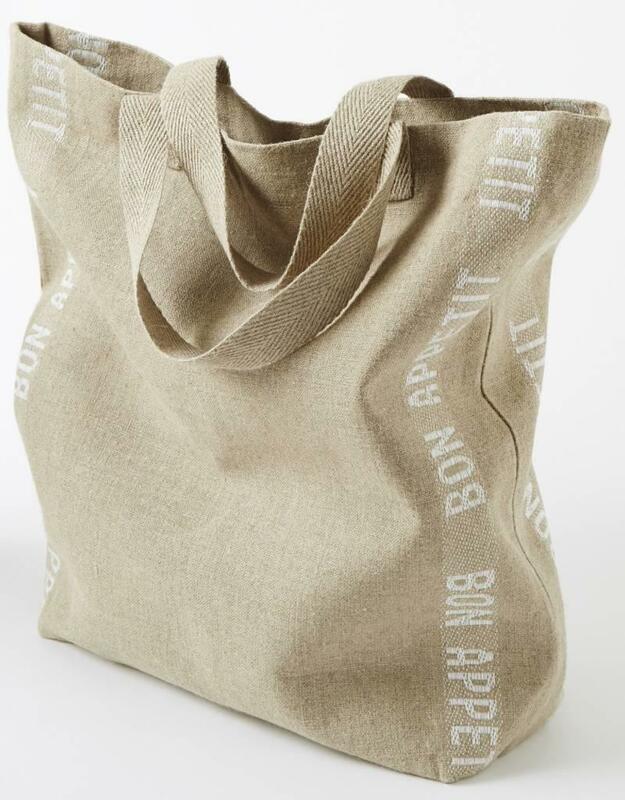 - 15" x 23"
These tote bags are made by Charvet Editions from the finest French linen, woven in one of the last linen mills in Armentieres, France. Charvet have been weaving linen there for more than a century. This woven cloth is pre-washed for softness. 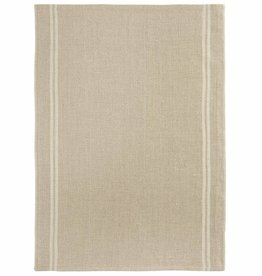 Linen boasts tremendous drying properties, and will keep improving wash after wash. These tote bags are of the finest quality. 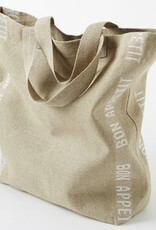 Luxurious French linen tote bag. Natural color with black "Bon Appetit" stripes. 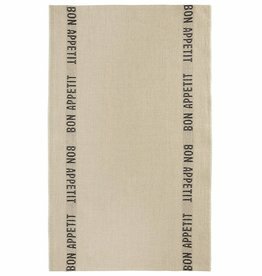 15" x 23"
Charvet Editions - Bag/Natural & Black Bon Appetit 15"x23"
Luxurious French linen bistro / tea towel. Highlighted by two white "Bon Appetit" stripes. 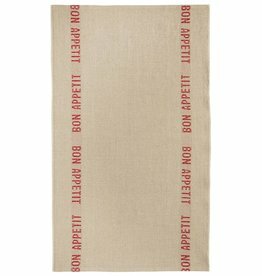 18" x 30"
Charvet Editions - Bistro/Tea Towel White Bon Appetit - 18"x30"
Luxurious French linen bistro / tea towel. Highlighted by two black "Bon Appetit" stripes. 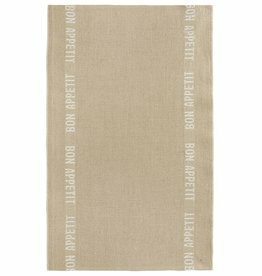 18" x 30"
Charvet Editions - Bistro/Tea Towel Natural & Black Bon Appetit - 18"x30"
Luxurious French linen bistro / tea towel. Highlighted by two red "Bon Appetit" stripes. 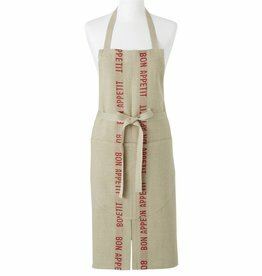 18" x 30"
Charvet Editions - Bistro/Tea Towel Natural & Red Bon Appetit - 18"x30"
Luxurious French linen apron. Natural color with red "Bon Appetit" apron. 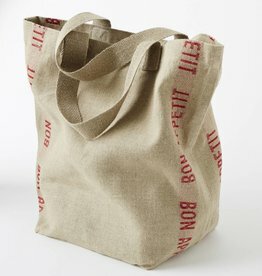 33.5" x 33"
Charvet Editions - Apron/Red Bon Appetit 33.5"x33"
Luxurious French linen tote bag. Mineral blue. 19" x 22"
Charvet Editions - Bag/Mineral Blue Cabas Initiale 19"x22"
Luxurious French linen White tote bag. White. 19" x 22"
Charvet Editions - Bag/White Cabas Initiale 19"x22"
Luxurious French linen bag. Gray. 19" x 22"
Charvet Editions - Bag/Slate Cabas Initiale 19"x22"
Luxurious French linen tote bag. Natural color with Red "Bon Appetit" stripes. 15" x 23"
Charvet Editions - Bag/Rouge Bon appetit 15"x23"